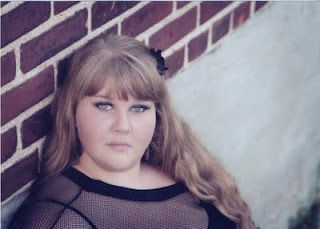 Today we want to send a shout out to our featured lovely of the month! Jennifer Salter from Finding My Way in Texas. Jennifer sponsors Natural-Nesters, and is so fun to work with. She is a fellow Texan, and so inspiring!! She is good at everything she does, and definitely a blogger we look up to! We hope that you will take some time to get to know our sweet friend, and take a visit to see her blog, and show her a little Natural-Nesters lovin'! Howdy! I’m Jennifer, the creative mind behind my blog, Finding My Way in Texas, and my shop, LoneStar Lovlies! Over on Finding My Way in Texas, you can read about my new life in Texas, crazy crafting adventures, some DIY projects, the odd recipe and every once in a while I might just photo bomb ya with new puppy pictures :) I love meeting new friends and I hope that you'll drop by and say hi! She will be having a 30 days of giveaways to celebrate her birthday and blogiversary! Starting August 1st--So definitely stay tuned to see all of the wonderful giveaways she will be having and join in on the celebration! She also has an awesome online store where she sells some of her wonderful creations, called Lonestar Lovlies! And right now she is giving our readers 25% off their entire order by using promo code JULY2012! So go check out some of her great stuff and get a discount. Plus her Lacelicious clutches have FREE Shipping happening right now! Here's some cute stuff from her store!! Super cute necklace! 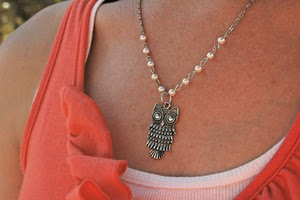 Pearls and owls, it couldn't get much better than this! 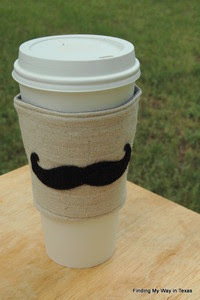 She sells all sorts of coffee cozies at her store! This one is just one of my fun favs! And don't even get me started on how much I LOVE this! Lace is definitely a huge FAV of mine. I need to head over myself to pick one of these up! IF YOU ARE INTERESTED IN SPONSORING NATURAL-NESTERS NEXT MONTH BE SURE TO CHECK OUT OUR SPONSOR PAGE! We love our sponsors, and each one gets special treatment. Including as much advertisement as they ask for, special highlighting posts, shoutouts through facebook and twitter, involvement in blog parties, guest posts, and giveaways, and more!